In a new project, staff at the Faculty of Veterinary and Agricultural Sciences, University of Melbourne, will collaborate with Indonesian poultry experts to develop diagnostic technologies that can be transferred from the Faculty into Indonesian laboratories. The project, "Transfer of diagnostic technologies for significant diseases of poultry," received grant funding from the Australia-Indonesia Institute of the Department of Foreign Affairs and Trade. In this project, poultry research experts from the Faculty's Asia Paciﬁc Centre for Animal Health (APCAH) Professor Amir Noormohammadi, Professor Glenn Browning and Dr Nadeeka Wawegama will collaborate with poultry experts at University of Gadjah Mada (UGM) to identify pathogens involved in signiﬁcant poultry disease outbreaks in the Indonesian poultry and develop diagnostic technologies that can be transferred from the Faculty's research/diagnostic laboratories into the UGM laboratories. APCAH is an internationally focused research and research training centre that aims to optimise animal production and product quality through improved control of infectious agents. Project leader and research fellow Nadeeka Wawegama said the poultry industry plays a pivotal role in supplying Indonesia's demands for meat, but the high prevalence of disease limits both its output and its growth. "Control measures for infectious diseases rely on evidence-based diagnosis, which in turn requires access to appropriate sensitive diagnostic tests," Dr Wawegama said. "This project will improve access to those tests in Indonesia, and ensure personnel are trained to perform the new diagnostic tests. Seminars will be conducted to communicate the value of using these diagnostic tests in routine control measures in the Indonesian poultry industry in 2019." 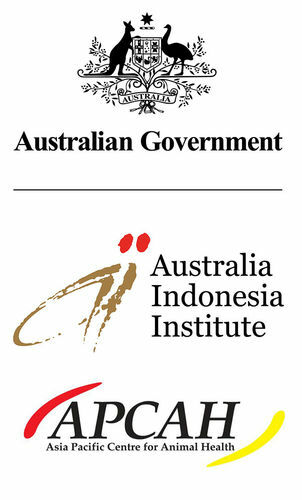 The results of this project will be better biosecurity and food security in Indonesia due to improved diagnostic techniques and practices, improved prospects for growth in Indonesia’s poultry industry and research links between Australia and Indonesia. Foreign Minister Julie Bishop said Australia was deeply committed to greater engagement with Indonesia. "Australia's relationship with Indonesia is critical to our strategic, security and economic interests," she said. "The grants program fosters links between Australia and Indonesia, increases cultural awareness and further strengthens the already close relationship between our two nations." This work is licensed under a Creative Commons Attribution-No Derivatives 3.0 Australia (CC BY-ND 3.0 AU), and may be republished for free, online or in print with attribution. Please include the following text with any republication: This article was first published by the Faculty of Veterinary and Agricultural Sciences at the University of Melbourne. Read the original article here.